Where to download the DAZ Genesis Extension? There is an updated Genesis Extension available that has the DUF file for Genesis 8 characters. It can be downloaded from your member account - Registration page. 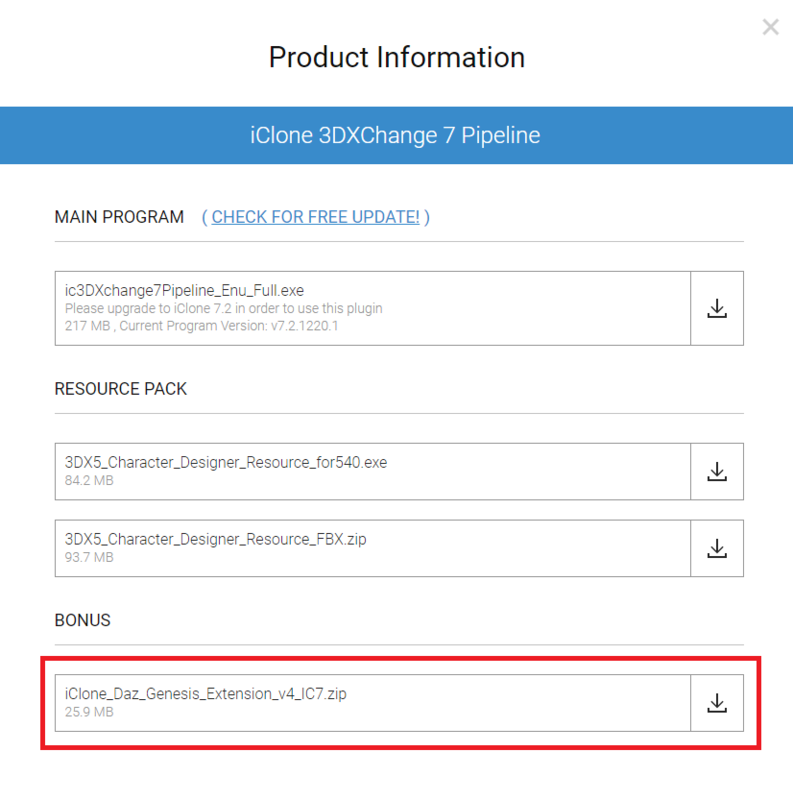 Simply click "Download" on 3DXchange 7 for the DUF file download information.